Onondaga Tower Green Roof Begun! 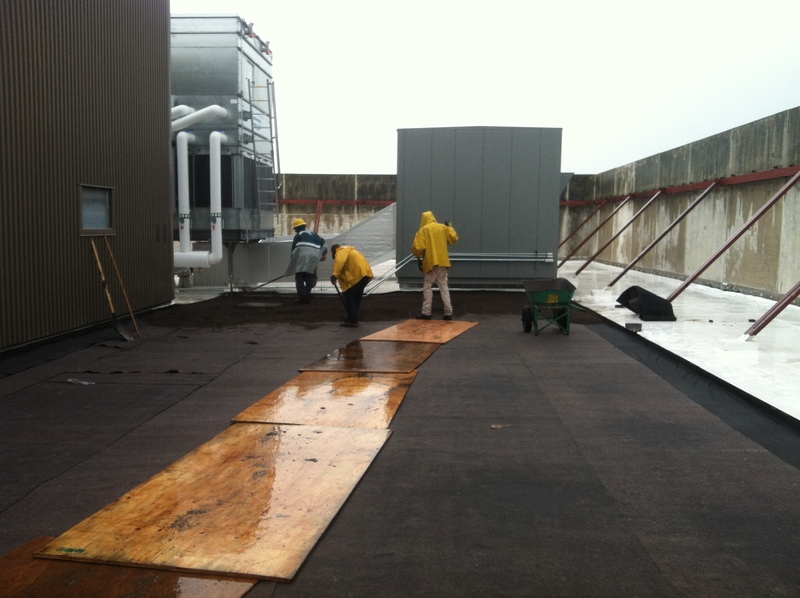 Construction of the green (vegetated) roof at Onondaga Tower began on September 13, 2014. The building is the former HSBC Bank Building, a 15-story combined parking and office building currently owned by CBD Development Corp. The green roof is an approximately 5000 sq ft extensive vegetated roof funded by Onondaga County’s Save the Rain program. The green roof was designed by Natural Systems Engineering. Shaffer Building Services is performing the installation. The photograph below shows the placement of the growing medium, into which sedum will be planted. This entry was posted in Green Infrastructure, Green Roof and tagged Central New York, green infrastructure, Green roof, green stormwater infrastructure, New York, Onondaga County, Save the Rain, Syracuse, vegetated roof on September 13, 2014 by admin.